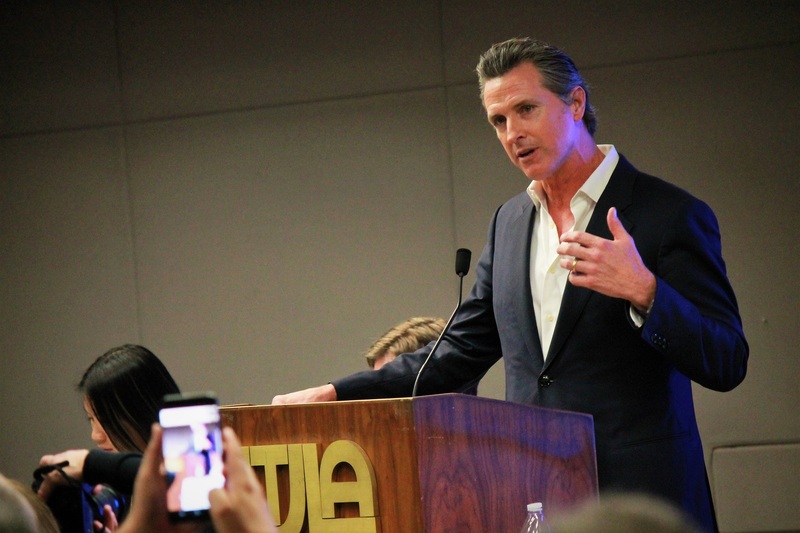 SACRAMENTO (CN) –The Democratic gubernatorial candidates chasing Gavin Newsom in the polls pushed messages of inclusion and diversity Tuesday night, sounding off on ways to improve education and equality for California’s minority residents. 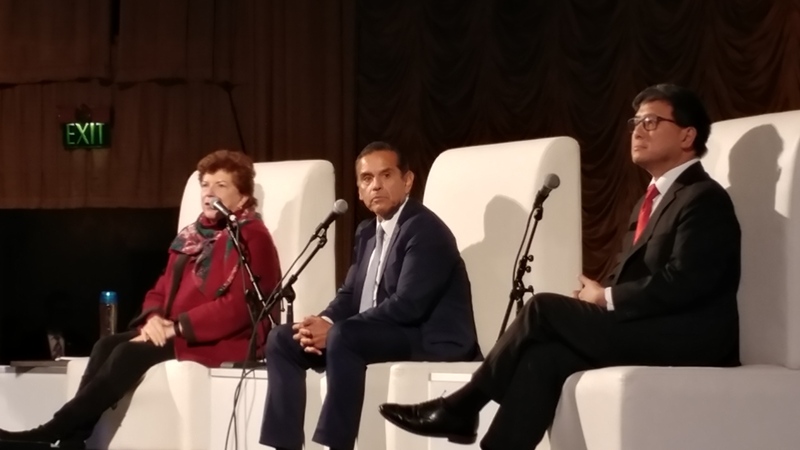 Former Los Angeles Mayor Antonio Villaraigosa, State Treasurer John Chiang and former state superintendent of public instruction Delaine Eastin touched on topics like health care and criminal justice reforms in front of hundreds of mainly African American would-be voters in Sacramento. In a forum devoid of personal attacks, the jovial trio largely took turns agreeing with each other. Riding momentum from an endorsement by the influential California Police Chiefs Association and a strong showing in a recent statewide poll, Villaraigosa said he’s been uniting Californians for over 50 years. “I’ve been doing this since I was 15 years old,” said Villaraigosa, 65. He detailed his experience as a community organizer, working for farmworker labor rights and as an activist with the American Civil Liberties Union. Villaraigosa pulled closer to former San Francisco Mayor Gavin Newsom in a poll released last week by the Public Policy Institute of California. According to the poll, which surveyed 1,042 likely voters, Newsom led the crowded field at 23 percent, with Villaraigosa at 21 percent. Chiang followed with 9 percent, Republican Assemblyman Travis Allen 8 percent and Eastin 4 percent. Eastin, 70, was the most energetic candidate at the event sponsored by Black Women Organized for Political Action and moderated by Melanie Shelby of Gray, Greer, Shelby & Vaughn of Oakland. She said the key to fixing most of California’s social and economic woes involves grooming children for success. “What is our message to the future? It ought to be a message of great child care and child development opportunities,” Eastin said, adding that the state has not restored child care funding pre-recession levels under Gov. Jerry Brown. Chiang continued his message of fiscal responsibility, touting his success managing California’s $75 billion investment portfolio during the recession and implementing sanctions on Wells Fargo. The son of immigrants said it was time for California to fight back against President Donald Trump’s policies. “We have to tackle a White House that wants to set us back, wants to undermine you African Americans, women, people of color, all of us; But California must lead, we must stand together and push back,” Chiang said. The candidates expressed support for a statewide single-payer health care system and an eagerness to plug California’s “school-to-prison pipeline.” Eastin drew cheers from the Crest Theatre crowd when she noted that California is 41st in state education spending per pupil, but first in per prisoner expenditures. “Let’s put our children first and then we won’t have this very expensive and mean problem,” Eastin said. While the frontrunner was absent from Tuesday’s forum, Newsom’s wife Jennifer Siebel Newsom was in attendance. Chiang and Villaraigosa highlighted the Lt. Gov’s absence in their opening remarks. Newsom, the former mayor of San Francisco, was pitching voters at a Los Angeles County Democrats’ Central Committee meeting. He did not openly campaign for the governor’s race appearance or mention Villaraigosa’s name, but instead touched on the topics of universal health care and income wealth inequality in California. “You all know that we’re the richest and poorest state in America; and Democrats, with all due respect, it’s happened on our watch. We own that,” said Newsom during a five-minute speech. Newsom was joined at the town hall by California Secretary of State Alex Padilla and California Attorney General Xavier Becerra and like his competitors in Sacramento, he advocated single-payer health insurance for California. “We have a historic opportunity in the state of California to step up and step into that debate and deliver on the promise and promotion of universal health care through a single-payer financing system,” Newsom said to applause. Newsom’s chances of replacing Brown received a major jolt prior to the Los Angeles Town Hall. California’s 700,000-member Service Employees International Union officially endorsed the Lt. Gov. “We believe that California can show the nation the way forward to a society that values every person and makes real progress toward economic and racial justice. Gavin Newsom will be both a visionary leader and, more important, a partner of working people in accomplishing these goals,” Roxanne Sanchez, president of SEIU California, said in a statement. California holds a jungle or blanket primary, with the top two candidates regardless of party advancing to the November ballot. The candidates are scheduled for a gubernatorial forum in San Diego on Feb. 22 and another in Sacramento on March 8.